Hundreds joined lively protests last week against the visit of Egyptian president Abdelfattah al-Sisi to the UK. 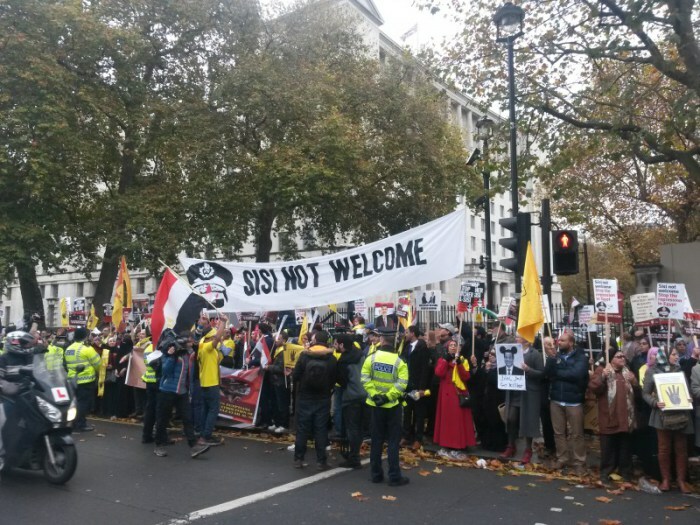 Cameron’s red carpet welcome for Egypt’s military dictator sparked two days of demonstrations on 4 and 5 November, uniting trade unionists, arms trade campaigners, students and Egyptian activists in opposition to the visit. Student activists kicked off the action on 4 November, as campaigners from Egypt Solidarity Initiative and Stop Sisi joined the national march for free education. Protesters marched through central London shouting slogans such as “No ifs, no buts, no education cuts” and “down with student debt”, highlighting the anger felt at £9000 a year fees. November 8, 2015 in Egypt.